1980: I’m seven years old. 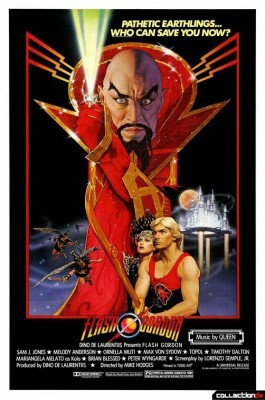 I’m at the movies with my family, seeing Flash Gordon. The candy-colored, art deco spectacle of it all blows my little mind; it’s even more impressive than the giant robot dinosaurs of The Empire Strikes Back. And when you’re a seven year-old boy, nothing beats giant robot dinosaurs.